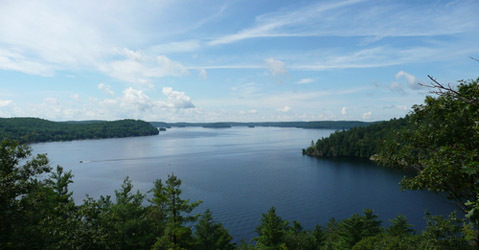 Mary Lake is a popular destination for cottagers for many reasons. Ideally located near Huntsville, you have all the advantages of the areas great shops and restaurants but when you're sitting on your dock it feels miles away. From a boating perspective Fairy Lake offers access to both Peninsula Lake and Lake Vernon giving you miles of shoreline to explore and a beautiful varied landscapes. There are currently around 4 properties listed on the Lakelands Real Estate Board for the lake but as the warm weather comes I would antisapate more will come on the MLS® system. Total summer inventory usually runs around 23 properties including vacant waterfront lots, condos, cottages and year-round homes. We will blog every month for the summer as new cottages are listed with links to our page with more information. There is an active Cottagers Association which has a news letter for up-to-date information, you can find their website here. Here's the current lakefront listings available, for more details on Mary Lake Real estate click here.